A Merseyside woman received a £300 fine for Walnut Whip packaging, sandwich wrapper and newspaper she was going to put in the bin. 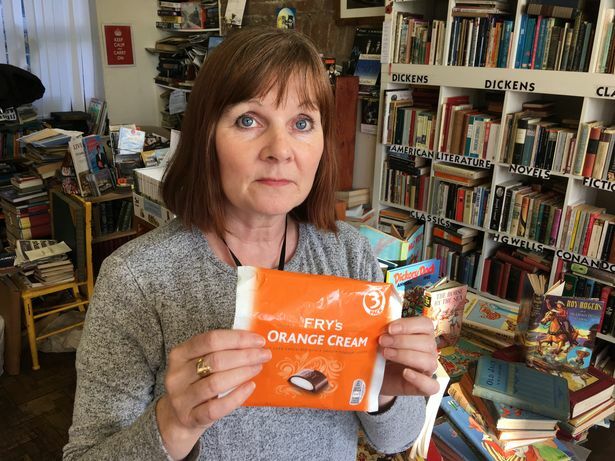 Cathy Roberts, who owns Literally bookshop in New Brighton , said she was “shocked and outraged” after receiving the huge penalty from Wirral Council ’s litter enforcement squad, who visited her shop. The fines came due to “aggressive” new waste rules enacted by Kingdom - punishing businesses for not having evidence of previous waste contracts, and not being able to demonstrate how “commercial waste” is disposed. She says she is one of “a lot of” business owners in Wirral who have fallen foul of controversial litter squad Kingdom’s rules. 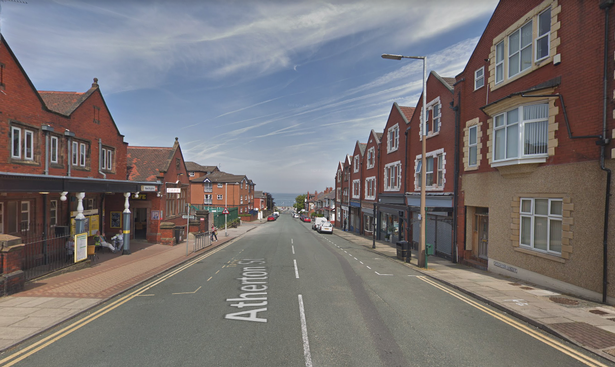 Earlier this week, the ECHO revealed 12 businesses on the same street had been slapped with a £300 fine because of the new waste rules. And Ms Roberts added that the situation had become even more “farcical” as a letter received today from the environmental squad reinforcing the fine was addressed from “Barnet Council”. The council has since suspended the trade waste contract with Kingdom after a raft of complaints. Speaking on Friday, Ms Roberts, 54, said when Kingdom came to her second-hand bookshop on January 8, they told her the three items - a Walnut Whip, sandwich wrapper and newspaper - were classed as “trade waste”, and that a licence was required. She said: "It does cause stress. I’m big enough and tough enough, but this has outraged me. “We have a nice atmosphere in this shop, and lovely customers. It’s a community hub. “They told us a newspaper, even though we brought it in from somewhere else, was trade waste. It makes no difference if it came from home. She said she came out of her shop to see a fellow business owner a few doors down “in tears”. 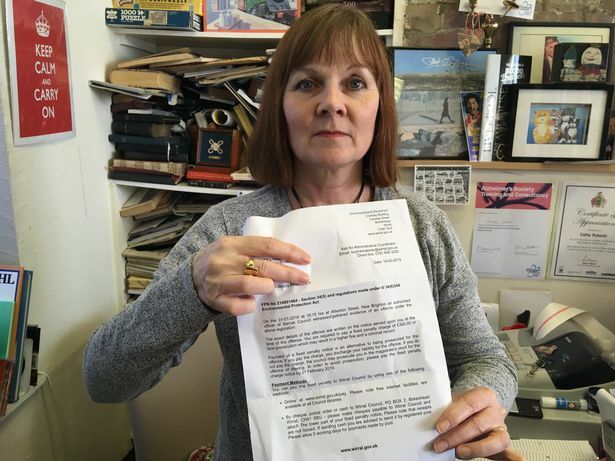 Despite the letter received today, which demands the £300 fine and threatens a criminal record, she has since been told by the council she will not receive a fine, and to “ignore” all further letters regarding penalties. She added: “We are very proud of our business, but I feel they’ve ruined things for us. We don’t look for to coming to work now. “When you put a business together no matter how big it is, you are investing money, time and effort. You do that in good faith and hope the council will support you. You don’t expect them to criminalise you, which is what they’re doing. 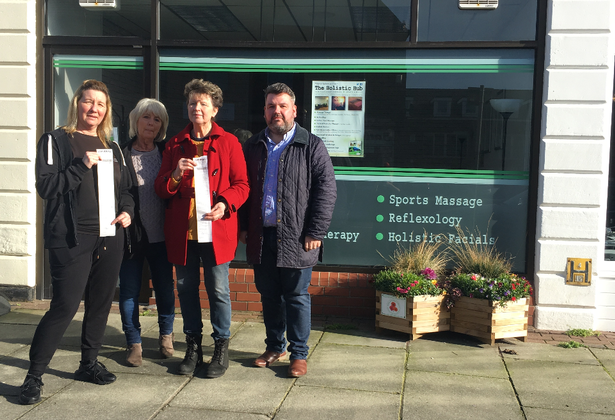 She commended two local councillors for their action in helping the businesses, but said the move by the cabinet to suspend the contract was “far too little, too late”. The ECHO reported on Friday that cabinet member for environment Cllr Anita Leech decided to suspend the trade waste contract. In a statement she said: "Today I have directed that the current enforcement campaign on trade waste is suspended so we can review the approach and consider any appeals. “This process was always intended to tackle a real problem of trade waste that is being illegally, and sometimes dangerously, placed into domestic refuse - which means council tax payers subsidising businesses. Wirral has seen a 10.6% increase in disposal costs over the last five years and the borough’s disposal cost for 2019/20 will be £17.2 million, money which comes directly from the public purse. “The council wrote to businesses across the borough last year advising them of their responsibilities to have measures in place to deal with any waste generated by their commercial activities." Kingdom said the firm was acting under direction from the local authority. for litter, as it is for parking.